The Witcher 3 is by far my favorite game of the past decade and perhaps even beyond. As such, anytime another game wants to dip back into that well I’m incredibly there for it. Even if that game happens to be Kingdom Come: Deliverance. 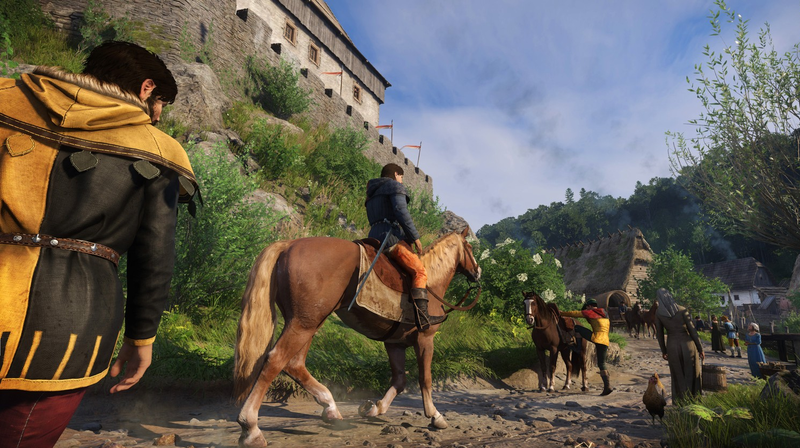 The open world medieval period piece has prided itself on its alleged realism. There’s no dragons or magic swords with which to slay them in Warhorse’s grim portrayal of the 15th century kingdom of Bohemia. Of course, the fact that you have to drink a special type of liquor in order to save your game really tests that logic to the breaking point. However, when the game takes a break from its somber retelling of history, fun and interesting stuff can happen, like this cool little easter egg pointing coyly back to The Witcher 3. At a stable in Merhojed you’ll encounter a mount named Roach. She’s a big fat and slow but has pretty good capacity and stamina, no doubt from all those years lugging around so many sets of grandmaster witcher armor. If you ask, the owner will say some Polish guy sold her to him. “He said now he’s settled down with a wife, he’s afraid she’d want him to stuff her,” he goes on. Them Poles are a persevere lot.” For anyone not familiar, that’s a reference to Geralt and Yennifer’s penchant for copulating on the back of a stuffed unicorn. What a relief Roach was spared a similar fate. It’s also a reminder of all the wonderful Witcher mods that someday might make their way into the game, however antithetical to they might be to its underlying aspirations. There are some other call backs to CD Projekt Red’s fantasy masterpiece as well, including another recognizable steed and an ability under the alchemy skill tree called “Witcher” that makes potions 30% less filling so you can consume more of them.